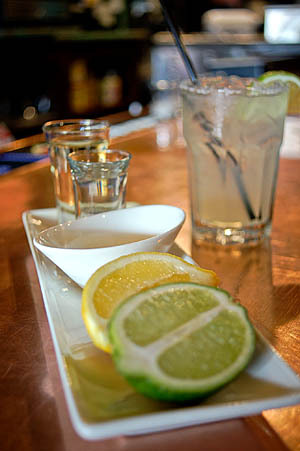 However you decide to celebrate Cinco de Mayo, you should definitely consider a Margarita. You can take the agave spirit-based cocktail to the next level with a healthy dose of citrus and a bit of sweetener, along with perhaps a touch of salt. Before the recent rise in cocktail culture, mangled margaritas were the norm. The most popular tequila-based drink in the U.S., this is a mixed drink that even the cheesiest, low-quality bars proffer. Some cheap tequila, no-name orange liqueur. ice and “sour mix,” swirled in a plastic cup is one of the most common offerings at all-inclusive resorts or other non-caring bar venues. But the margarita has a richer history (though no one is exactly sure of its origin story), and deserves better than that. In search of the perfect version, we chatted with tequila aficionado Brian Sirhal, a longtime beverage director and manager of several Mexican restaurants in and around Philadelphia, each with more than 50 different tequilas in stock. “There are two really important factors in a great margarita,” Sirhal says. “Quality liquor, and fresh fruit juice. Do not, under any circumstances, use a pre-made, artificially flavored sour mix.” The two spirits in question are tequila (of course) and an orange liqueur, which is most commonly Triple Sec but could instead be something of higher quality, such as Cointreau, or even Grand Marnier. What about a salted rim? “That’s simply a matter of personal taste,” he adds, noting that in his restaurants he uses simple kosher salt. Sirhal also turns away from the conventional blanco (un-aged) tequila, suggesting instead the more flavorful reposado, which has been barrel-aged between two months and a year. The recipe for one of his favorite versions, dubbed “La Bestia,” is below. Combine all ingredients in a shaker with large cubes of ice and shake. If desired rim a glass with salt – either a coupe or a high ball. If serving “up,” strain into coupe glass. If serving on the rocks, pour into high ball. Take a sip, sit back, and enjoy the tropical harmony of flavors.